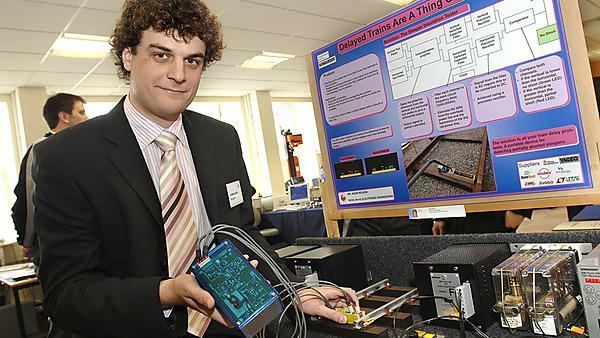 "For my final year project I developed a system for monitoring and giving advance warning of potential railway sleeper degradation. The research I did for this and the subsequent electronic design really increased my career opportunities. Also, as well as giving me a recognised degree (i.e. accredited by the Institution of Engineering and Technology) I now realise the full worth of my degree as the material I learnt at Plymouth is often used in my work. As an RF Engineer with Motorola, my job includes the design of RF transmitter and receiver systems for use in point-to-point wireless communication systems. My degree course was recommended to me by friends who had carried out the same degree in previous years. Plymouth was also the ideal choice as I was already living there and didn't really want to leave the coast." "The course has given me an IET approved degree and material I learnt at Plymouth is being used in my current job."